Clare Dunne, the actress playing Prince Hal, is wearing a Chelsea FC shirt as the all-female cast in this prison-set take on a Shakespeare classic offer this vegetable-based chant. This version of Henry IV premiered at the Donmar in May 2014 and could essentially be Shakespeare done by the cast of all-female prison dramas of old, perhaps Prisoner Of Cell Block H or Bad Girls. We’re actually watching the themed trilogy in the wrong order and gave its final part (a rap-filled The Tempest that fizzed with fun and boasted an outstanding performance by Jade Anouka) the full 5* earlier this autumn. We’ve been thinking about the best theatre actress monsta of 2016 and there are two candidates within this cast. Anouka playing Hotspur, Hal’s boxing and kickboxing rival, is once again outstanding in a hugely physical role and outshines this trilogy’s star, Harriet Walter, who is a little too softly spoken as Henry IV for our liking. 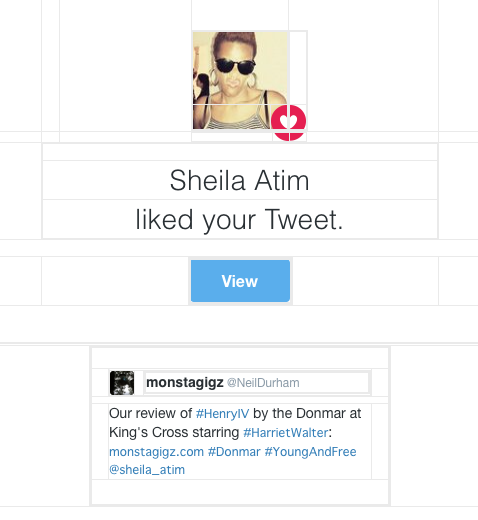 Elsewhere Sheila Atim just breaks our heart as Hotspur’s love. This troupe’s May 2012 Donmar take on Julius Caesar is where this trilogy began and we’ll be reviewing it later. For us, the prison setting enhances the work and we rarely notice that the cast is all-female because the acting is always first class. We’ve seen some fine all-dayers or weekend-themed theatrical events this year – Young Chekhov at the National and the Royal Shakespeare Company’s kings’ cycle at the Barbican – and this Donmar rival is shaping up to outshine them both.